Your new LCD-TV has all sorts of audio outputs, but no (regulated) Line Out to connect a stereo-amplifier? 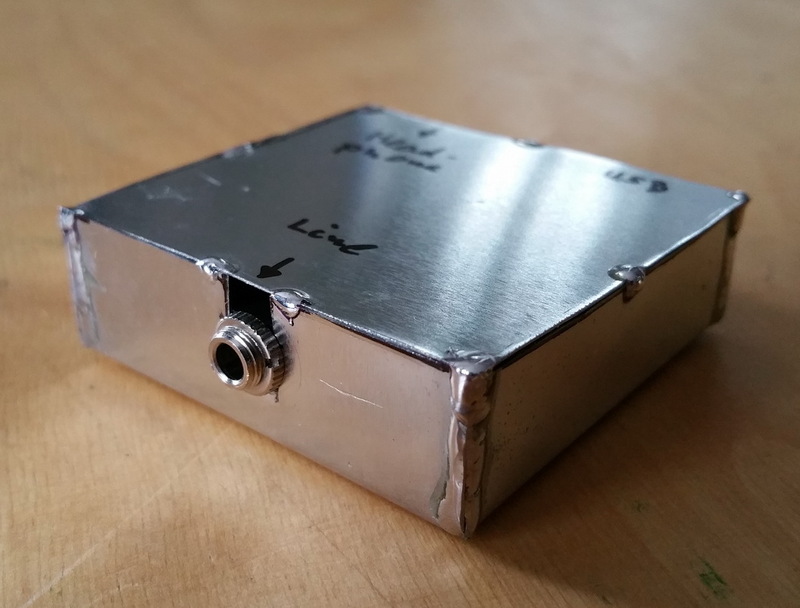 You want the volume control stay on your TV remote despite an additonal amplifier? Then you probably will find a solution here. 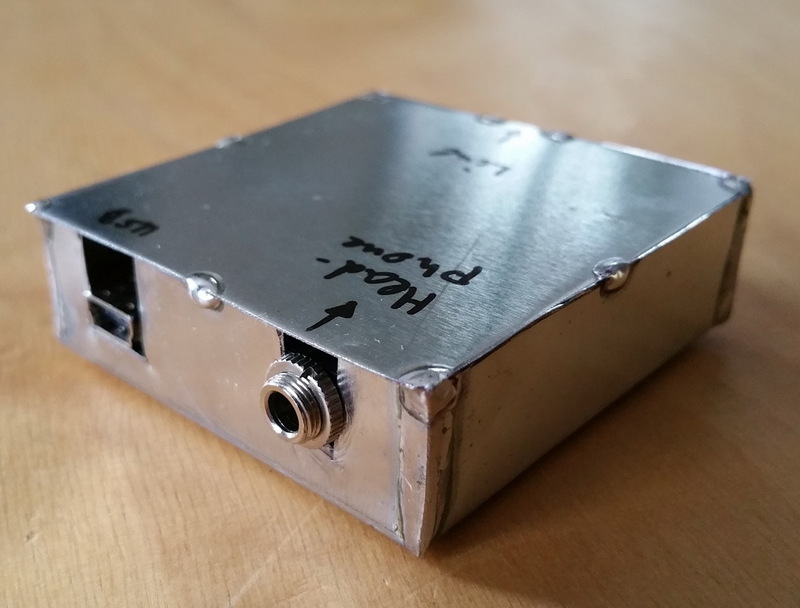 Nearly every modern TV has a 3.5 mm headphone jack you can easily connect to a stereo amplifier. But headphone levels are too high for the amps Line In, resulting in coarse adjusting and even distortions. Also switching on and off the TV while the amp is still powered, will produce loud unlovely cracks and plops (caused by DC charging and discharging the headphone output stage capacitors), tormenting speakers and ears likewise. 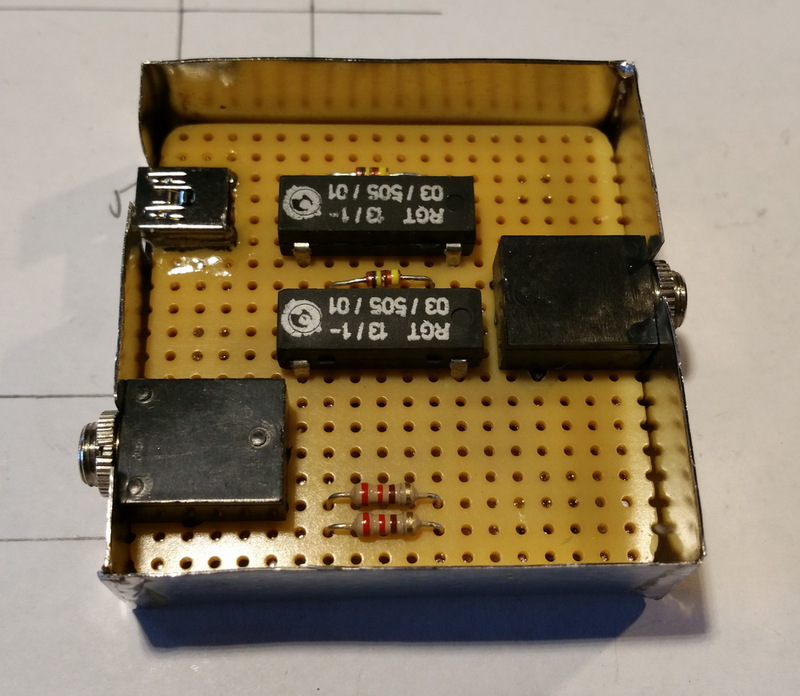 Two fitting resistors for each channel will solve the first problem. But eliminating the on and off cracks will need some prerequisites. 1. The TV needs a (free) USB or HDMI port. 2. The 5 V line of this port must behave similar to the timing diagram on the right (example Samsung TV. 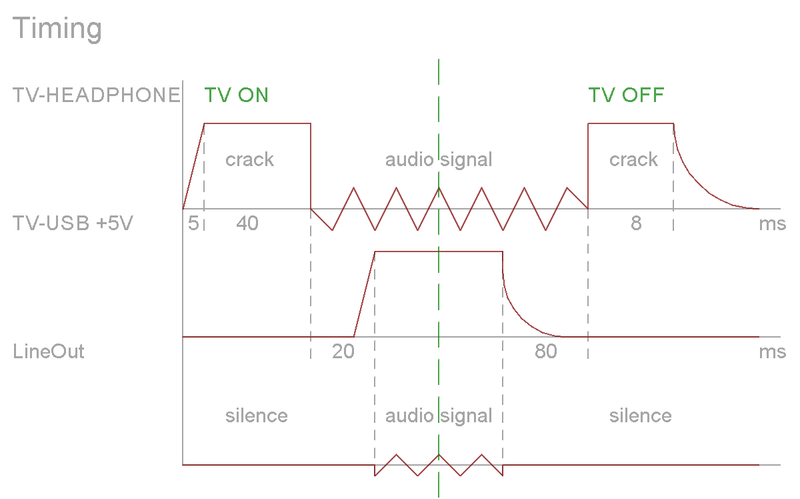 In short, 5 V must rise after the crack happens when the TV is switched on and fall before the crack when switching off. The schematic is quite simple. You can also use an adequate dual pole relay to switch both channels with one relay. 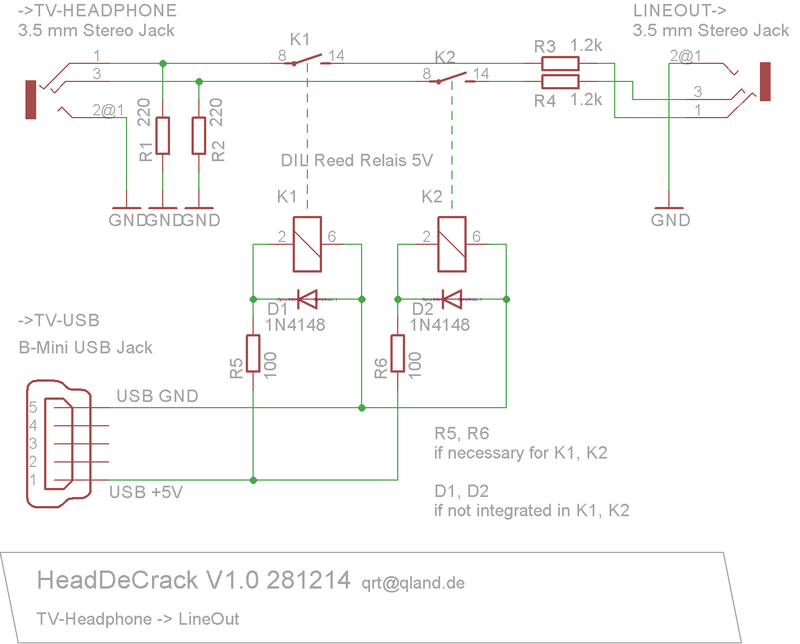 The used Mini-USB-B and 3.5 mm audio jacks are only proposals, some people will prefer cinch connectors here. A shielding is advisable but seems not mandatory, I used the bare circuit board at first without grand disturbance.